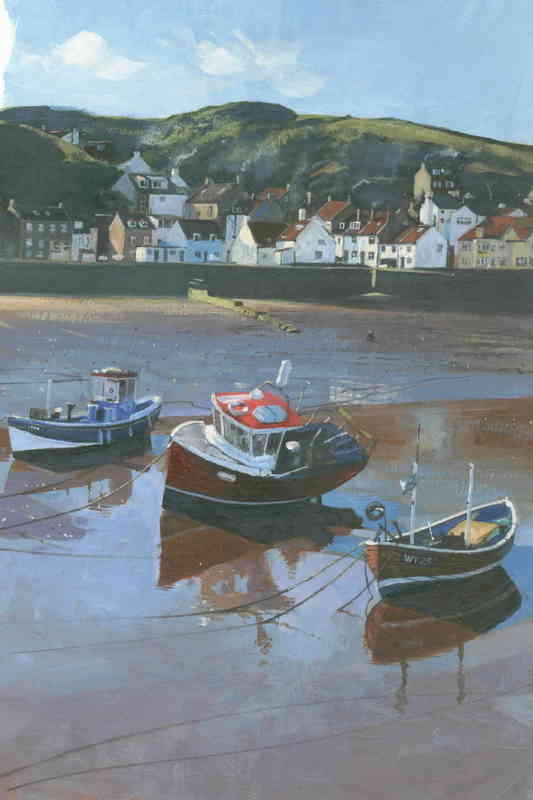 View of Boats at Staithes, a small village on the North Yorkshire coast. This is a reproduction of a original acrylic painting by artist James McGairy. Innova Soft Textured Natural White 315gsm IFA 12. Image size 145mm x 100mm. Mount size 250mm x 204mm. approx 10" x 8"
Price of £10.00 includes packing and dispatch to UK, please let me know if you require overseas shipping. Supplied mounted and flat, size above.